What will your dream . look like? Let Sassy Cakes create the perfect custom cake for your next special occasion. Birthday cakes, cupcakes, cake jars- all available on our CAKE STORE! Order and pay online! Let us design your dream wedding cake! Make your wedding day extra sweet!! Select any of our delicious flavors & come up with a theme! Sky is the limit! is a custom cake bakery located in beautiful downtown Naples, baking everything fresh to order! We're committed to providing fresh, all-natural, beautiful cakes that taste as good as they look! Your Wedding, an Anniversary, a Birthday, or a Celebration... you name it, and we'll bake it! 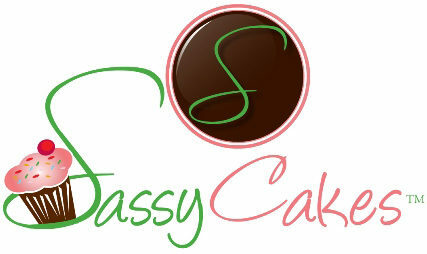 Sassy Cakes is a custom bakery, making everything fresh to order with a minimum 48 hour notice! Choose from over 100 delicious flavor combinations! Our custom cakes are a work of art, made especially for you! From a simply decorated birthday cake to something extravagant and over the top, your cake will be just as delicious as it is beautiful! With over 20 flavor options, gourmet cupcakes are a great way to make sure there is a flavor at your event that all your guests can enjoy! Say “I DO” to wedding cakes by SassyCakes! Brownies, cookies, cakepops OH MY! Adding additional desserts to go alongside of your cake is the ultimate wow factor! take a peak at all the other goodies we make!